Know a little person who is crazy about cars and trucks and all kinds of vehicles? 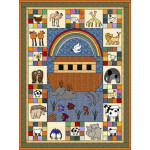 Here's your chance to work on a fun little quilt for that sweet kid in your life. Pull out your brightest, wildest, kid-friendly fabrics for this one! 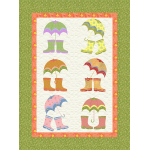 Finished size: 61 x 77"
Perfect for spring, this fun little pattern is offered in two sizes, for a wall hanging or a twin si.. I don't know if animal blocks could be any cuter. From chickens and ducks to lions and monkeys, ..
Splish, splash... time to cool down! 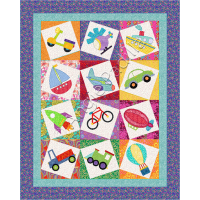 What a fun quilt for any sun-loving kid! Finished size: 51 x 60..
Where will your love of travel take you? 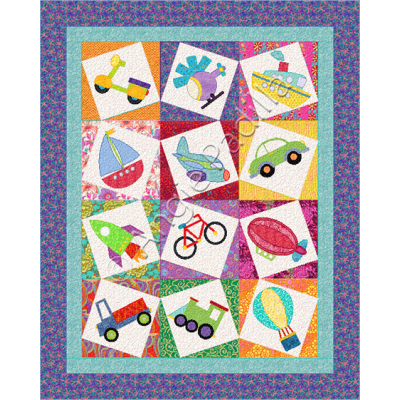 Be it by air, land, or sea, this great little lap quilt is ..
An easy little quilt, perfect for beginners, makes a great present for a baby shower or a toddler's .. 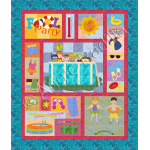 Planes, a helicopter, and even a hot air balloon fly under the clouds and sun of this fun little c..